John Witherspoon and the Founding of the American Republic, by Jeffry H. Morrison. Who now remembers John Witherspoon? Despite his many achievements—a celebrated pastor, president of Princeton, tutor to James Madison and other founders, and the sole cleric to sign the Declaration of Independence—Witherspoon has all but fallen through the memory hole of American history. And yet during his lifetime he was a giant figure in at least three areas in colonial and newly independent America: politics, religion, and education. His career has much to teach us about what we think we know about the founding generation. In this new book, Jeffry Morrison, a professor of government at Regent University, has tried to solve the riddle of Witherspoon’s disappearance. Witherspoon (1723-1794) was a child of the Scottish Enlightenment, having been born in Scotland the same year as Adam Smith and educated at the University of Edinburgh. He was also a child of the Reformation, and was descended, according to family history, from John Knox. Witherspoon was a rising Presbyterian minister in Great Britain, and a well-known defender of the evangelical Popular party that opposed the more theologically liberal Moderate party in his church. He was invited to America by Benjamin Rush, by the trustees of the College of New Jersey at Princeton, as it was then known, and by the evangelist George Whitfield, whose preaching had touched off the first Great Awakening. This triple invitation presaged Witherspoon’s later life in the colonies. Rush, of course, is numbered among the founders; Princeton is where Witherspoon would make his lifelong home; and Witherspoon would throw himself into the development of religious life in America through his participation in the councils of the Presbyterian Church. Although he was one of the most influential Americans of the eighteenth century, Witherspoon has been overlooked by subsequent generations of historians. Morrison suggests a variety of practical and ideological reasons for this. As a general matter, Witherspoon did not leave many private papers or letters, unlike his more famous contemporaries, and his failure to sign the Constitution, despite his prominence, places him in the second rank. While not an original intellect, Witherspoon made significant contributions to American letters that have been unjustly ignored by later scholars. For example, his Lectures on Moral Philosophy offered the first systematic treatment of moral philosophy published by an American, and he was also the author of the first American treatise on rhetoric. More generally, Morrison surmises that contemporary scholarship is uncomfortable with this minister-founder who “insisted on wearing his clerical garb to the Continental Congress” and who complicates many current notions on what the founding fathers intended. In a chapter entitled, “Plain Common Sense,” Morrison describes Wither-spoon’s interpretation of the Scottish Enlightenment. As the founding generation understood and used it, the phrase “common sense” expressed “experience and a common moral faculty” that people could use to make moral judgments about society and human nature. This approach, as developed by Scottish philosophers like Thomas Reid (1710-1796), was directed against those thinkers, such as David Hume, who questioned the ability of the mind to know the external world. Witherspoon had largely adopted the views of the common sense school by the 1760s, and such a position happened to fit nicely with the emerging American character with its emphasis on “self-evident” truths that could be discerned through a faculty possessed by all people. (And let us not forget that Thomas Paine chose the phrase as the title of his influential pamphlet.) 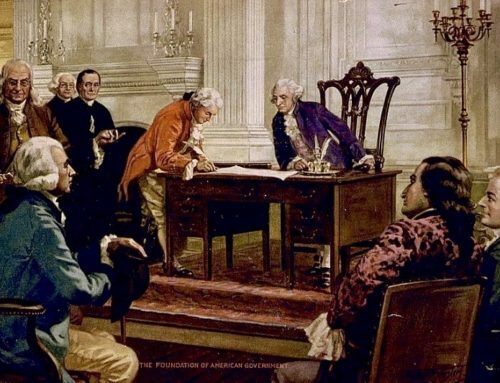 By the late 1770s, Witherspoon concluded, through the application of common sense, that it had become necessary (in the words of the Declaration) to “dissolve the political bands” that had connected the Americans to the United Kingdom. This thinking has obvious connections to Witherspoon’s Reformation heritage, which likewise places its emphasis on each individual’s personal quest for God. The picture Morrison draws of Witherspoon’s intellectual and religious life adds additional nuance to our understanding of the founding era. As he notes, the hegemonic vision of the founders as Lockean deists that held sway for decades has now been all but completely overthrown. A more complicated account has emerged, in which figures such as Witherspoon take on a more prominent place and other intellectual currents are unearthed and given their due weight. Witherspoon himself combined the Scottish Enlightenment and the new political science of Locke with the heritage of John Calvin. While influenced by Locke, Witherspoon did not take him whole; as Morrison writes, “Witherspoon also pursued a more explicitly Christian formulation of the state of nature than Locke,” due in part to the “deep impress of the Reformation” upon him, which shaped his outlook on republican government. In particular, Morrison notes, Wither-spoon accepted Locke’s thesis on the importance of sense experience as the means by which humans come to know the world, but he rejected Locke’s strict empiricism. Instead, he argued that there were some innate ideas, “truths” that sense experience could discover, but which existed independently of the human mind. Thus, for example, the book of nature could be gleaned for evidence of a Providential design. The influence of political theory on the founding can easily be exaggerated. 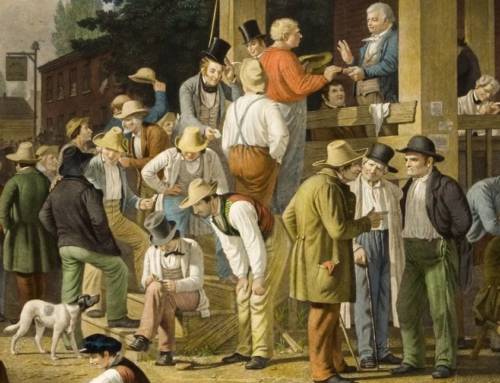 Americans were a practical people, not much engaged in idle speculation, and theory was most often used merely as a springboard to consider what worked. Morrison retrieves, for example, interesting excerpts from founders as diverse as Adams and Jefferson casting scorn on the dreamy Plato in favor of the more practical Aristotle. In short, the founding generation comfortably inhabited a colonial political world in which Calvinist theology, natural-rights theory, and British republicanism jostled one against the other to form the backdrop for thinking about revolution. And think about revolution Witherspoon did, with relish. He is said to have been one of the first in the colonies publicly to call for independence. In 1768, the year Witherspoon arrived in American, John Hancock had forced a showdown with the British over inspections in Boston and John Dickinson’s Letters from a Farmer in Pennsylvania were published. The next year Witherspoon honored Hancock with an honorary degree, thus signaling his sympathies with the colonies, and wrote approvingly of Dickinson’s Letters. 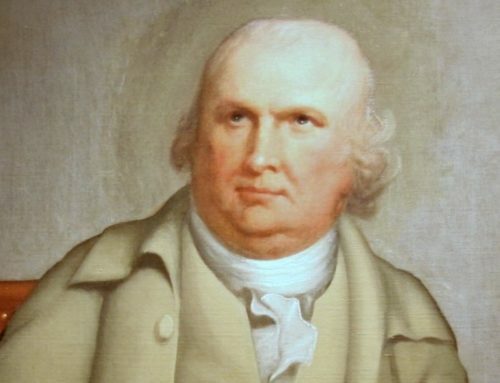 He served on New Jersey’s committee of correspondence during the War for Independence, signed the Declaration and the Articles of Confederation, and helped ratify the Constitution in 1787 as a member of the New Jersey legislature. Indeed, Witherspoon played a crucial role in the July 1776 debates leading up to the Declaration. The more conservative Dickinson had argued that independence was too precipitous a step for the colonies to take, and he counseled caution. Witherspoon responded that the colonies were ready for and needed independence, and were “in danger of becoming rotten for the want of it.” Witherspoon’s arguments helped carry the day, and for the next six years, until he left the Congress in 1782, he was a central figure, serving on many committees and being asked, in 1781, to draw up instructions for the peace commission in France. So well known was Witherspoon that the Scottish philosopher Adam Ferguson in a 1778 letter places “Johnny Witherspoon,” his former classmate, at the head of the rebels. The only reason Witherspoon was not present as an influential voice in the Constitutional Convention itself in 1787 was sheer happenstance, but the circumstances demonstrate Witherspoon’s character. He was himself in Philadelphia that summer, but had been committed a year before to be a delegate to the Presbyterian Synod of New York and Philadelphia, which was meeting in the city at the same time as the Constitutional Convention. Witherspoon spent that summer debating and drafting a constitution (called the “Form of the Government”)—but a constitution for the Presbyterian Church, not for the new nation being born at the same time. As a result of Witherspoon’s efforts, the Presbyterian Church was in effect nationalized, with a common catechism and other documents. Both his civil and his ecclesiastical reforms were aimed toward the same end: to inculcate “the ideas and habits of independence.” Political constitutions were necessary, but not sufficient, to hold the new nation together; as probably the most powerful intermediary institution in the country, the Presbyterian Synod was an instrument for Witherspoon to stabilize the political victory of 1787. Although the New Jersey’s delegation to the Constitutional Convention arrived without him, Witherspoon was nonetheless there in spirit. Five of his Princeton students, including James Madison, were present. A sixth founder, Alexander Hamilton, was not a Princeton student, but he came to rely on Witherspoon nonetheless in the area of political economy. Morrison explains that Hamilton asked Witherspoon’s input prior to writing his “Report Relative to a Provision for the Support of Public Credit” in 1790. Witherspoon responded, and his ideas made their way into Hamilton’s report. Unfortunately, Morrison does not provide much detail about what Hamilton borrowed, though he does discuss Witherspoon’s defense of hard currency against paper money. Morrison discusses more fully the debt of the authors of the Federalistto Witherspoon, noting general influences as well as specific phrasings from papers by Madison and Hamilton that echo Witherspoon. As “the prototype of the political parson,” Witherspoon’s understanding of the connections between civil society and religious faith reflected the way in which he synthesized his Enlightenment and Reformed backgrounds within the new American context. He did not advocate what we now term “establishment,” but nor did he adopt the anachronistic “separation” between church and state. He was rather solidly in the mainstream of American founding thought in believing that a religious people fostered civic virtue. He was quite convinced, as the author of government-sponsored Thanksgiving prayers perhaps should be, that America owed its existence to the Creator who bestowed self-evident truths upon humanity. Nevertheless, because of his fluency with the many intellectual traditions coursing through the founding era, Witherspoon was quite capable of speaking with sensitivity to audiences beyond his own Protestant fold. In his respect for the civil opinions of others, without compromising on the larger truths of the American experiment, Witherspoon was a prototypical American. With this book, Morrison has engaged in an act of recovery. Getting to know Witherspoon helps us know aright the other founders and gives us a deeper understanding of the world that created a new nation. Books mentioned in this essay may be found in The Imaginative Conservative Bookstore. Reprinted with the gracious permission of Modern Age (Spring, 2006). Gerald Russello is the Editor of the University Bookman and author of The Postmodern Imagination of Russell Kirk.